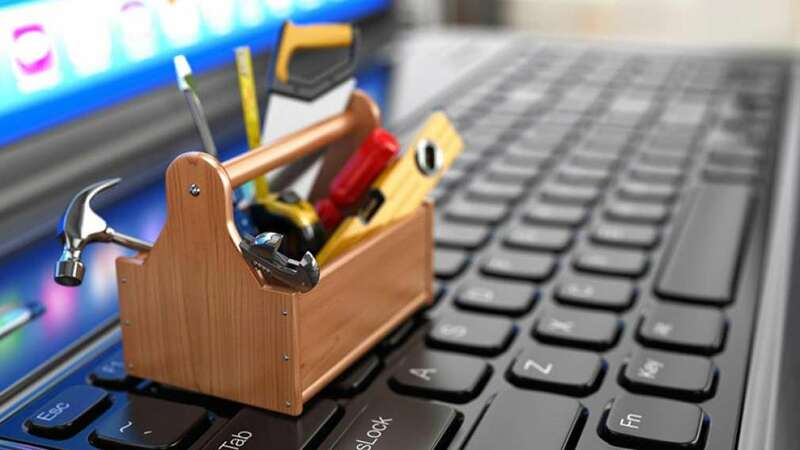 If your goal is to “Work Smarter, Not Harder” then check out my list of top products, services, platforms and organizations that you can use to help you with your BPO business. This way you can easily find everything in one place and know exactly what you need to take your BPO business to the next level! Enjoy! 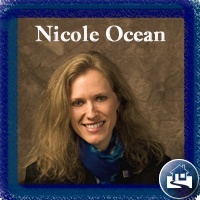 Learn from the “First Certified Real Estate Instructor” in the BPO business, Nicole Ocean. Let her show you how you can make $100+ per hour in real estate, by doing BPO’s. A great place to start is within our video-based course that focuses on the basics concepts surrounding Broker Price Opinions. Lessons from the course will provide a firm foundation for any real estate professionals wanting to learn valuable aspects and applications that apply to Broker Price Opinion work. Anyone taking this 12 module, self-paced course will leave with a solid understanding of the business and how to accurately do BPO orders. Get started right now! My sister company, BPO Automation Group in business since 2009, invented BPO AutoFill and AutoAccept software. BPO Automation Group specializes in helping real estate professionals automate their BPO and REO forms. Our BPO Automation Suite Xtreme automatically completes hundreds of web-based BPO forms at the touch of a button. It is possible to do the data-entry part of your BPO forms in 5 minutes, with our (BRAND New for 2019) Xtreme AutoFill software. If you are doing your BPO orders by hand, there IS A BETTER WAY! Come work with our highly qualified BPO expert, instructor and consultant, Nicole Ocean in a one-on-one virtual coaching GoToMeeting session. Within your personalized coaching session, you can ask her anything about your BPO business, the industry, the companies you work for, etc. Please note, sessions typically last 1 hour and the cost is $199.00/hour. Schedule your session now! Get a 30-day free trial of the BEST broker price opinion order tracking and management platform for BPO and REO industry professionals. It’s the ‘Go To’ solution that will help you stay organized, on-time and profitable in the BPO side of your business. It’s great for individual agents/brokers and both small and large teams. Sign up here. I couldn’t live without my external backup hard drive and it’s what I highly recommend using to backup everything related to your BPO business. You can use it to backup anything that’s important to you, including pictures, comps and even personal stuff. There is plenty of room. Click here to learn more about it. You don’t need a big, expensive, fancy, beefed up pc to do BPO’s. I love my HP Pavilion laptop and have been a HP fan for the last 10+ years. View it here. Also, if you want 1 PC to do both BPO’s and real estate, you may want to consider the Lenovo YogaPad. I’ve got the HP Pavilion laptop as my center screen and then have 2 external monitors hooked up, which makes a total of 3 screens. When doing BPO orders you will need a dual monitor setup at a minimum. Smart BPO agents and brokers use this setup. This will help you be able to expand your laptop so that you will have multiple screens to look at your BPO form, your comps in your MLS and the tax assessors website. A multiple screen setup will help you be super efficient. Learn more here. Studies show that we aren’t meant to sit as much as we do in a normal business day. I don’t know about you but I require being able to switch things up from sitting to standing up while working at a PC. It’s healthier to have a desk that you can both sit and stand to work and this is the must have. I absolutely love my iPhone 7+ because its amazingly versatile and especially helpful with its big screen. It is so easy to take quality pictures and to be able to download them when you need to, without a big hassle. Also, I’m a firm believer in that you don’t need the latest and greatest gadgets to do your BPO’s. This device will help you take high-resolution picture of your subject property. Order yours here. This revolutionary book has changed my life and how I run my businesses. I’ve been very fortunate to have figured out how to only work 4 hours a week because of outsourcing, delegating, automating and more super slick tricks that I learned from the genius author, Timothy Ferris. Pick up your hardback copy here today. If you don’t have one of these yet, you need it to safely hold your smartphone, no matter what type or size it is. I use mine everyday and it really helps me access it easily. Get your car mount here. My wife and I are agents in Kentucky. We have been running a Preservation and Inspection service for 12 years. My broker and fellow agents tend to discourage the bpo idea, but we already do everything required to perform bpo’s. My only concern is how many companies we have worked for over the years that either played with the fee amounts or never paid at all. How do you protect yourselves from the dishonest ones? Thankfully most BPO companies today are legit and honest as well as ones that WILL pay 💰 you. A few years ago there were a small handful of BPO mills that took advantage, didn’t pay or were slow to pay. I’d recommend getting and keeping yourself educated on the companies you work for currently to see if they make the cut and to do a cross-reference on companies that are new to you before accepting any work from them. Lastly, you will want to ensure that you have a good bookkeeping system in place so that you can track each company that you do BPO orders for. This way you can see how long it took them to pay you, that they paid the amount that was owed and that they are giving you enough work to continue working for them. Best of luck with everything David!